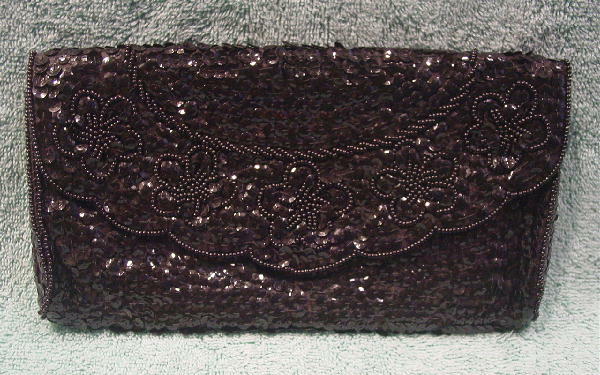 This black sequined and beaded evening clutch is by Regale and was made in Japan. It has an envelope styling with a hidden one snap closure. There is a black background and it has a black (probably acetate) full lining. The front flap has a scalloped design edged in tiny round black beads. 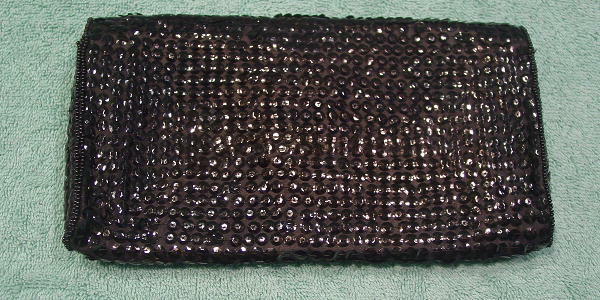 The side edges have two rows of the black beads. The flap has five flowers and an angled bead design, all in the tiny black beads. The back just has rows of sequins on it.